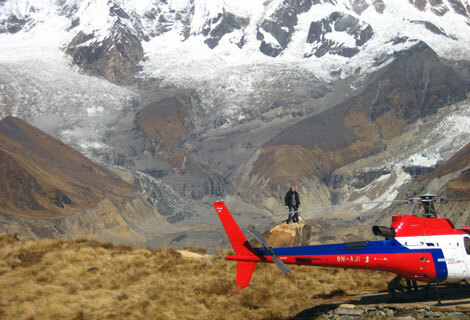 Heli Tour- Annapurna Base Camp – Summit Helicopters Pvt. Ltd. 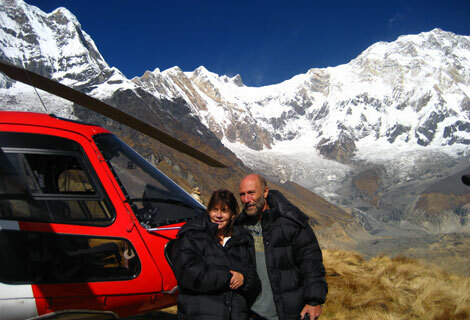 Early this morning we flew a lovely couple- Arlene Devermont and Dennis Devermont from Los Angeles- on a heli tour to Annapurna Base Camp South (~13400ft). 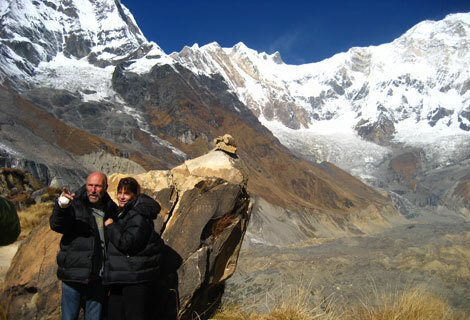 Captain Steve picked them up from the ‘Lakecity’ (Pokhara Airport) and directly flew them to the Base Camp where they had 30 minutes of ground time to enjoy the astonishing 360 degree view and click pictures. They were thereafter flown back to Pokhara. We hope that you had a delightful experience. Thank you for flying Fishtail Air.